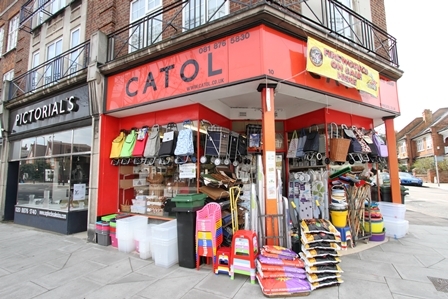 Catol is the kind of shop that is fast disappearing from local communities. 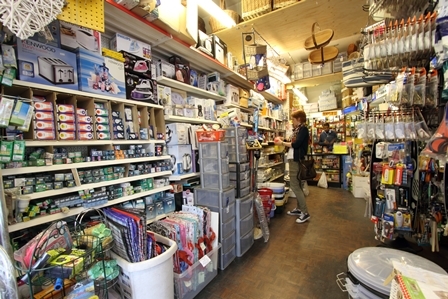 It sells homeware and hardware and is under extreme competitive pressure from huge chains like Homebase and B & Q with their massive advertising budgets. But what you get at this family-run shop is expert friendly service and a determination to track down whatever a customer is looking for. Mind you, there’s a more than even chance that it’s already there, tucked away among the more than 5,000 items of stock packed into the premises. “If we haven’t got something someone wants, we can usually get it in a couple of days,” pledged Catol’s current owner Mr Kapasi. He is helped in the shop by his son Moiz and they are proud of running an Aladdin’s Cave of homeware goods. It’s a place where you can get small packets of screws and nails – not the big packets which is all the chain stores offer. 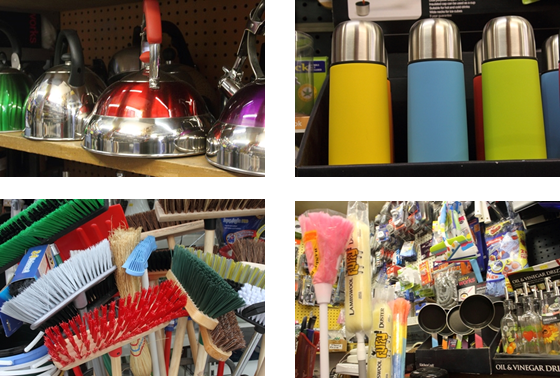 A close look at Catol’s shelves reveals a dazzling and sometimes surprising list of items. Not many places stock ceramic baking beans alongside every kind of kitchen tool as well as pots and pans and dozens of oven dishes. Having a problem with household vermin? Catol’s is the place for you. It has all kinds of moth killers, mouse traps, rat traps, and even a squirrel trap. And if you are a bit squeamish, there’s even the Big Cheese Dead or Alive Mouse Trap at £14.95. There is a garden section, dozens of tools, every kind of polish and cleaner, electrical goods, ironing boards, and a smart range of shopping trolleys hanging outside. It’s almost impossible to describe the full range of goods. But it’s full of hidden surprises – like a special cleaner to get rid of graffiti. The site of the shop was once part of a homeware and hardware chain called Cato’s which had 34 branches, mostly in Middlesex and Surrey. It was founded by the Cato family which built the company up from a single shop in Chiswick. Eventually, 1991 the Upper Richmond Road site in East Sheen was bought by an independent retailer and Catol was born. Mr Kapasi, who was born in Uganda but came to Britain 40 years ago with his family as an 11-year-old six months before Idi Amin threw out thousands of Asians, took over three years ago. He’s always looking for ways to develop the business. For example recently he obtained a licence to sell fireworks all year round, and he has also started stocking travel goods like suitcases and rucksacks. 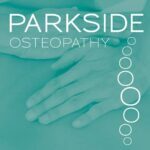 “We’re proud of the fact that we have many elderly customers who have been coming here for years and we are still looking after them,” he added.